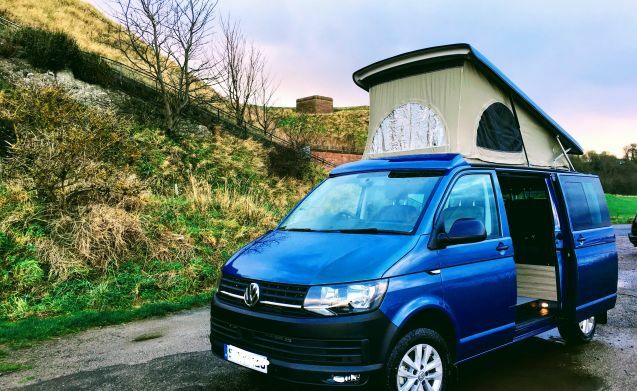 Skipper, a brand new and stylish VW, is waiting for you right in the centre of Edinburgh. We're ten minutes walk from Edinburgh’s main train, bus and tram terminals, so there's no need to trek out to an industrial estate on the outskirts of town. We don't charge extra for bedding or chairs – and vehicle insurance is all included. 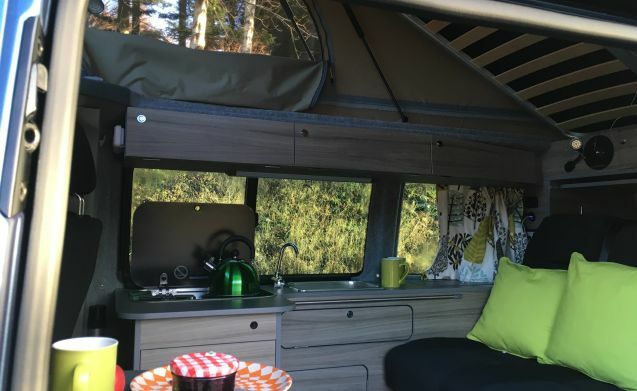 With a sprung double bed in the pop-top roof and a full-width double rib bed (137cm) below, four people can get a comfy night's sleep helped by pretty blackout curtains, privacy glass and cosy heating system. It comes fully equipped for cooking with a hob, sink and fridge. There are indoor and outdoor tables and chairs. And the front seats swivel for a spacious living-room effect. 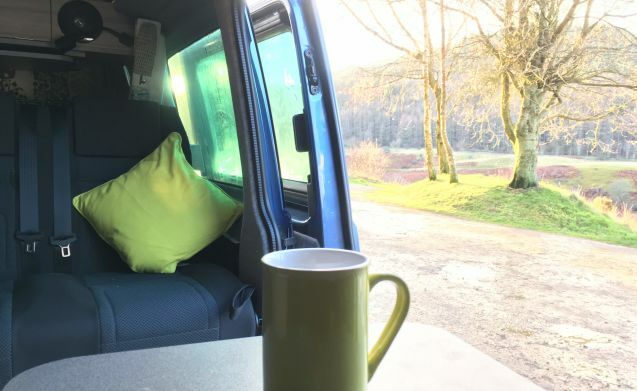 You have the freedom to wild camp and still make use of the lighting, heating and USB chargers because Skipper's leisure battery lasts for four days and recharges as you drive along. At a campsite, you can plug in and recharge that way too. Skipper uses petrol with up-to-date stop-start technology to cause the least damage to the environment. 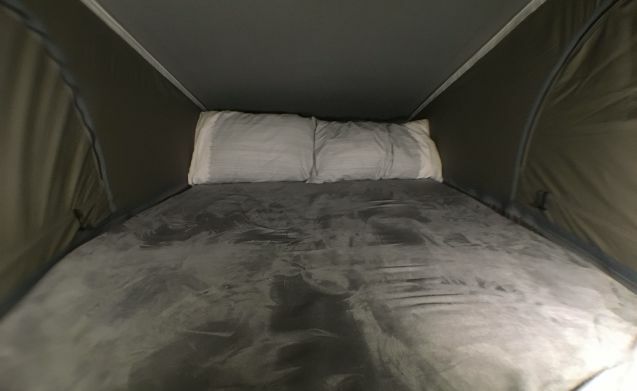 Its insulation and even the duvet is made from recycled materials. 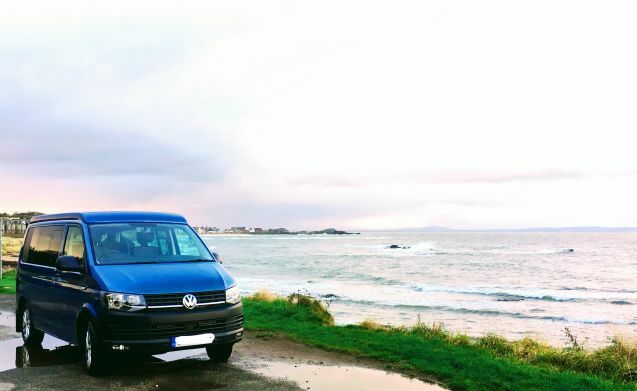 You can go wherever you want as the mileage is unlimited. It takes minutes to reach the countryside. 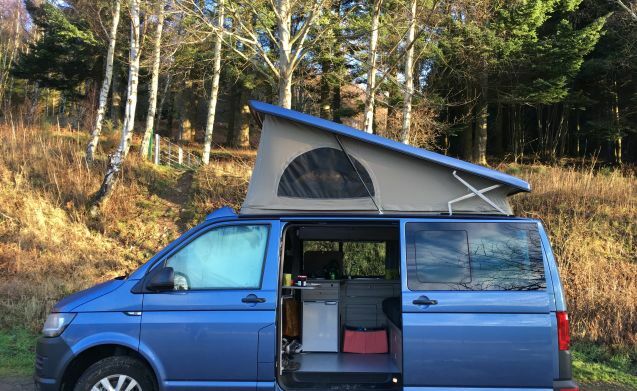 We're just two hours' drive to the awesome Cairngorm mountains, less than two hours to the Trossachs National Park and two hours to the Galloway Forest Dark Sky Park. Skipper counts as a car on the ferry so you can explore Skye, Mull and the Hebrides with ease. 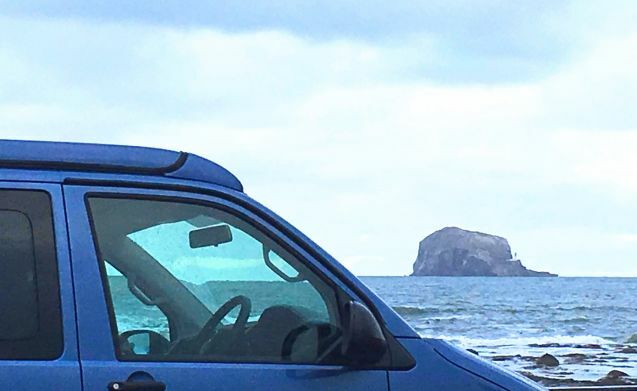 Or perhaps you'd like to drive right to the top of Scotland and see the amazing rugged coast, beautiful empty beaches and incredible mountains. 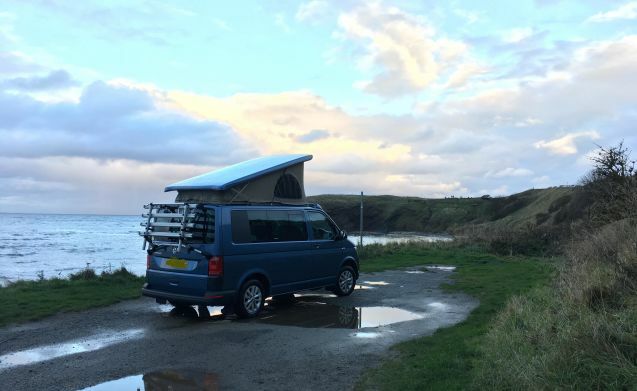 The law allows you to can camp anywhere in Scotland (within reason) and there are lots of wonderful campsites too – ask us for tips. Skipper is easy to drive, feels like a car and has brilliant parking sensors. It has six manual gears with cruise control, stop-start technology and hill assist. 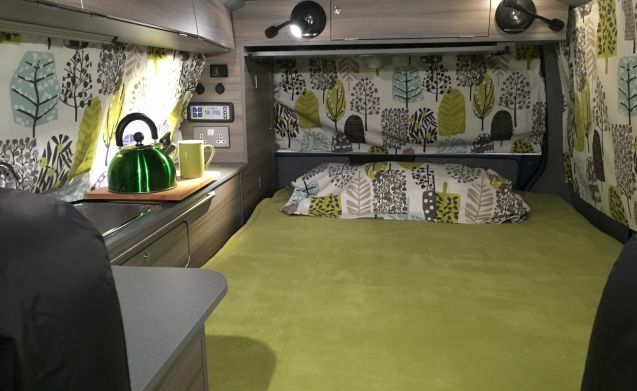 It comes with sat nav, air conditioning, Bluetooth media and phone connection, not to mention lots of sockets to charge devices. We can be flexible about pick-up times, but give yourself an hour so we can check your documents and show you all the clever things that Skipper can do.